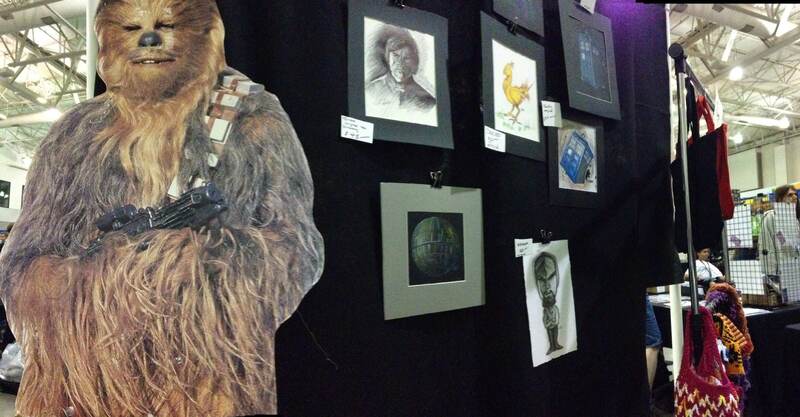 Comic Convention artist displaying my art and booking custom drawings and commissions. 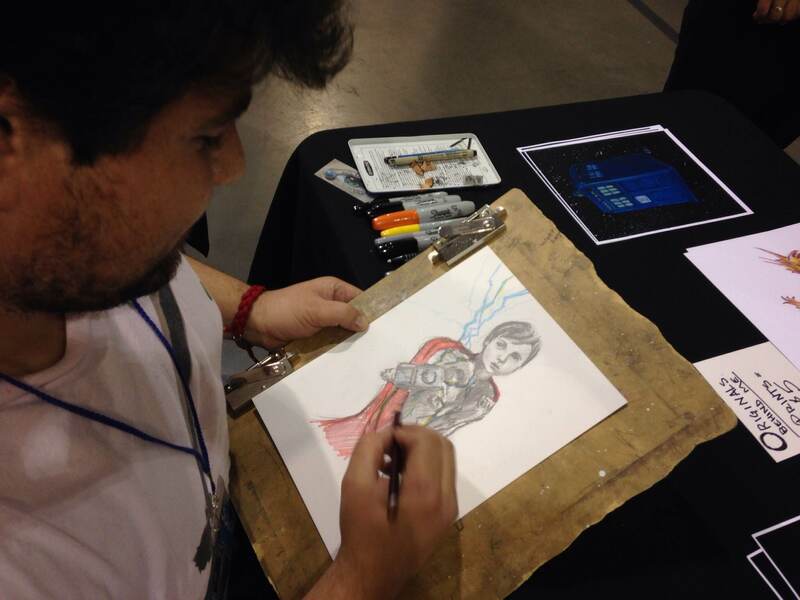 I was asked to do a lot of custom sketches from Doctor Who, Mario Brothers to the video game “The Last of Us.” But the most fun I had was when someone asked me to do a sketch of them as a super hero. One family asked me to draw there little boy as Thor, and another kid asked me to draw him as the joker. I only charged $20 for the superhero sketch and I was drawing non stop. 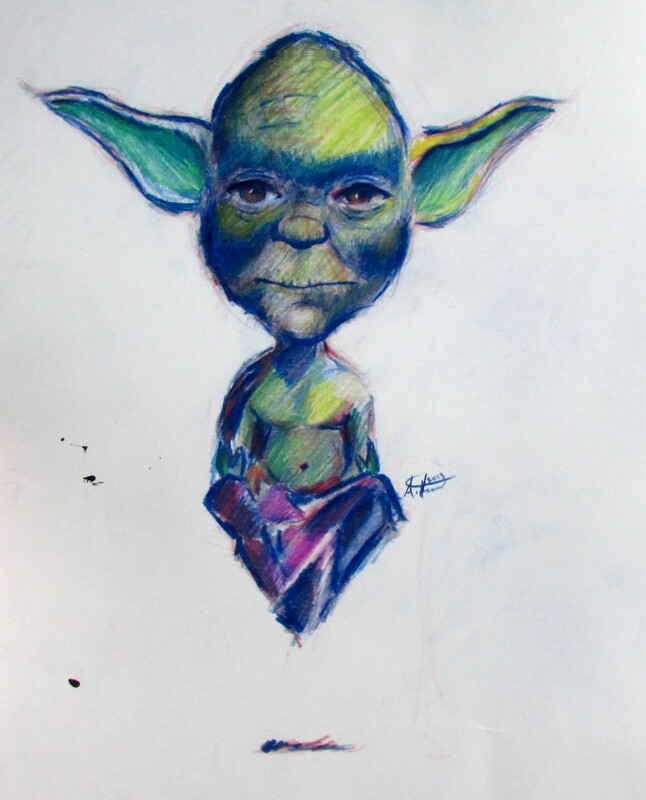 I only charged a few dollars extra for adding color to a drawing like this one of a child’s head on THOR’S body. I really enjoyed doing these commissions on the fly. It sparked something for me, and I hope I can start booking more quick sketches like this. I was also asked to do several drawings of characters from video games and tv. 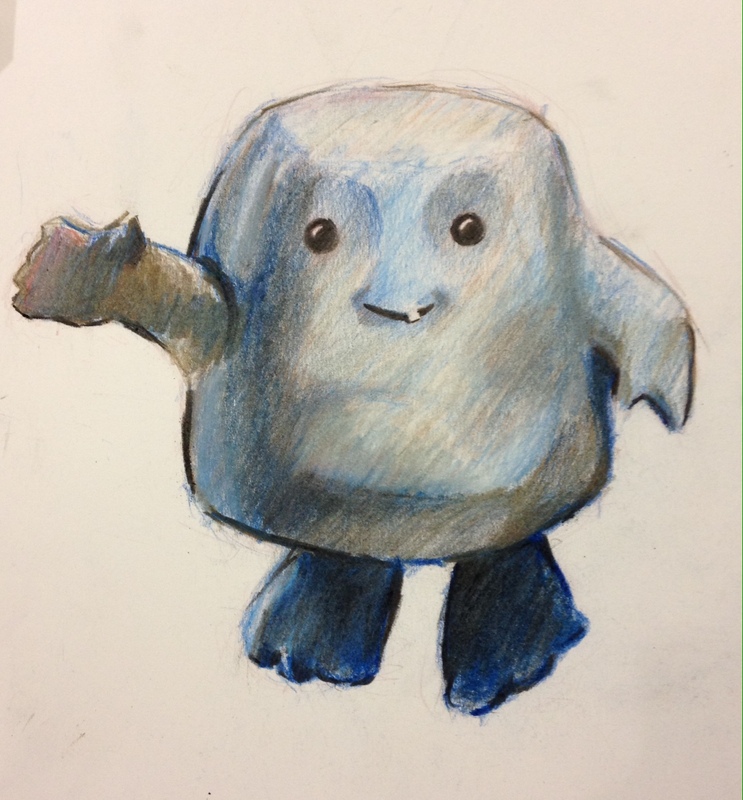 My favorite was the Adipose from Doctor Who. 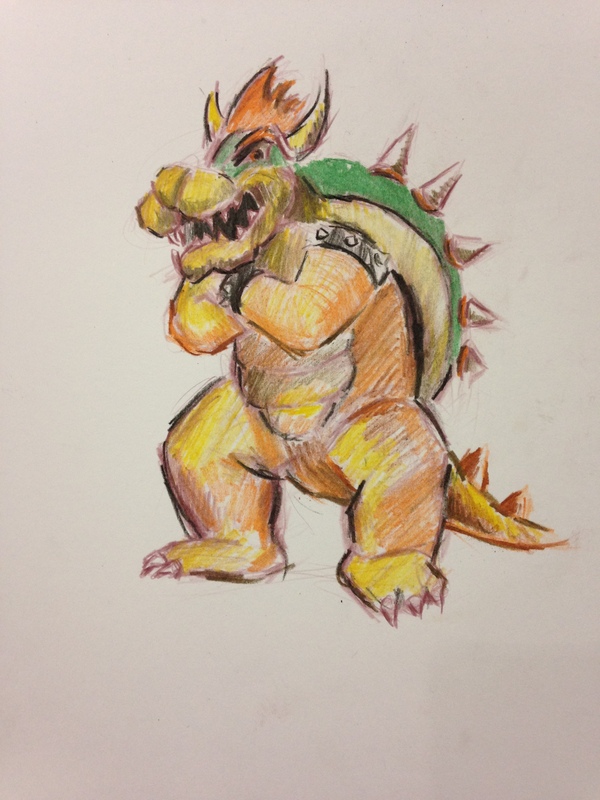 A 7 year old boy walked up to me and asked if I’d draw Bowser for him. It was awesome! It made him so happy! Usually I tell people to walk around and come back in 15 or 20 minutes and I’ll have the sketch done for them. This little guy asked if he could stand there and watch while I draw. Well, of course he could! and he didn’t take his eyes off the drawing. 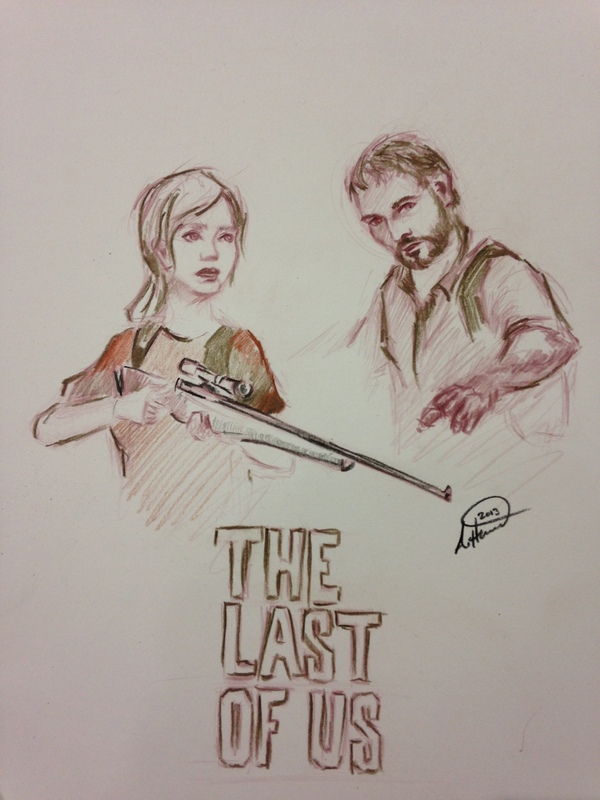 This is from the game called “THE LAST OF US” I have actually never played this game before, but the girl that asked me to draw it described it to me. Sounds amazing, you can also check out some reviews and game play on youtube. I think it is kind of like “resident evil,” but I’m not quite sure. The game seems to have a really serious plot and I don’t want any spoilers so after watching 5 minutes of game play I turned it off. Thanks again for all the support, and to everyone that made it out to the convention. I was surprised at how many attendees traveled from PHoenix to Tucson for this convention. THe next big AZ con will be “Amazing Arizona Comicon” in January. So the countdow begins for that! I’ll be posting more photos and more art. 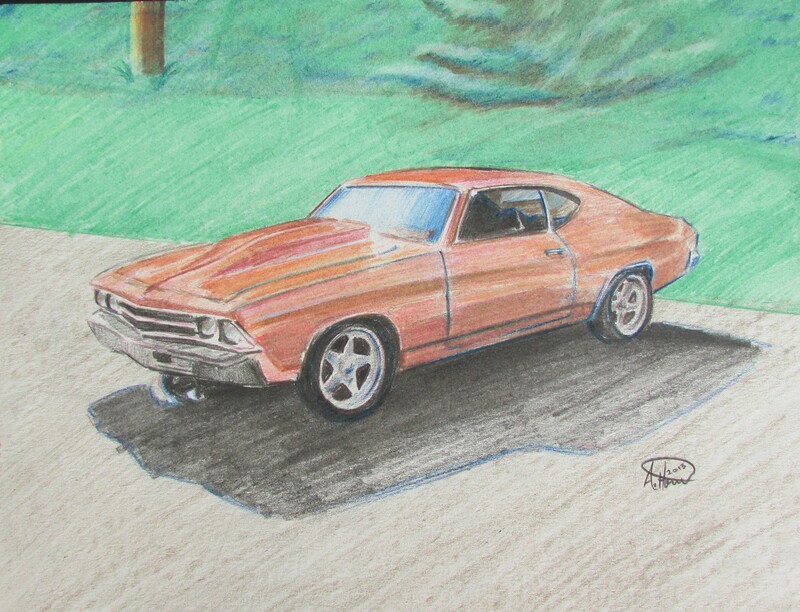 Several prints, originals, and custom drawings are always available, check out my blog and website. Drop me a line, I’d love to talk about the art, And I love starting new projects. 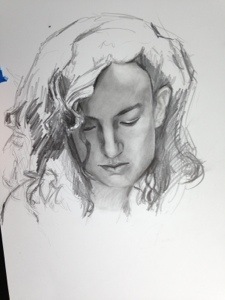 Here is the start of a portrait Drawing I’m working on. With this drawing I will be focusing on creating life like features. I want This drawing to look just like the photo. When I do a custom drawing its usually full of gesture and has a lot of sketchbook characteristics. I decided to do the opposite with this one. I’m gonna blend the graphite and draw very softly. Id like to render this drawing into a very realistic looking face. Guess who’s drawing at comicon. Tucson is having they’re annual comic convention. And I was so successful at the phx comicon that I decided to take a little road trip down to Tucson in November. I am so excited. I will be doing a drawing and painting series of all my favorite scifi spaceships. I’ll also be doing commission drawings, and selling custom portraits. 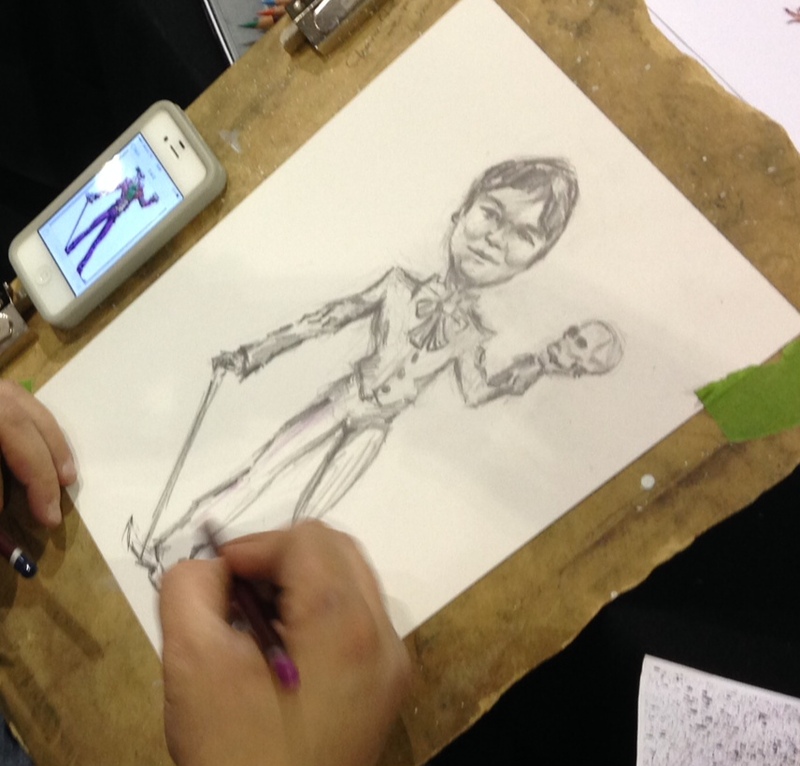 Come check out andrew’s pencil at the Tucson comicon. 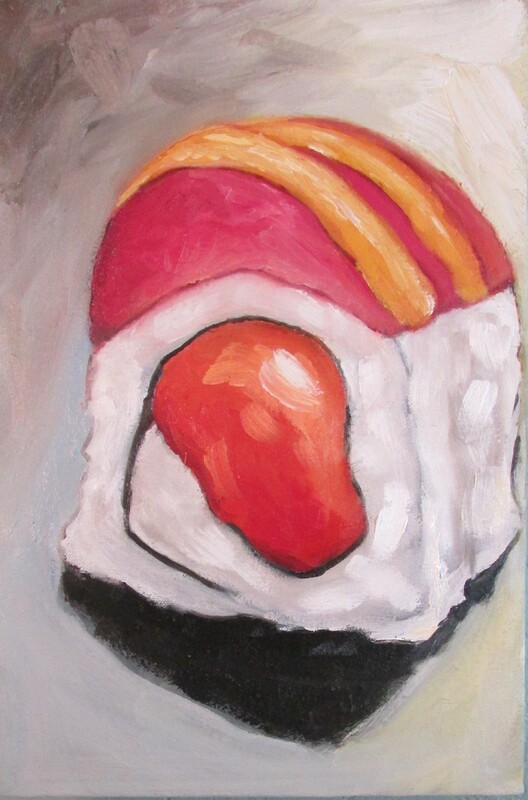 Another original sushi painting. Oil on 16”X11” limited edition prints will be available at the end of august. Quite often, while scrolling through blogs and photos of art, particularly paintings, I pause. I stop and stare at a painting for a minute or two and wonder if this is digital art. or did someone really achieve these amazing effects with just oils and a paint brush. Well typically, it is digital art, but not today. I came a across a beautiful portrait that had these gestural characteristics, but the color and blending was so sharp and accurate that it looked real. I thought there was no way this was a traditional piece of art. And then I saw the name. John Singer Sargent. His portrait paintings are so flawless, but also very gestural and impressionistic. He has always been one of my largest inspirations, and after wasting another significant portion of my day staring at beautiful paintings, I am reminded why he inspires me, and why I love painting. This is a link to the ‘entire body of work’ by John Singer Sargent, which one is your favorite? Let’s see if you can get lost in the artwork, just like I did. I always get excited when there is cream cheese in the sushi. Although, I can only imagine that cream cheese in the sushi is far from traditional. It’s always delicious! 9”X14″ Oil on stretched canvas. This Painting was done on a wooden panel. I love the texture I got from this painting. It’s much more expressive. I’m going to paint on a few more wooden panels today. I’ll be sure to post them a bit later. The thing that keeps me going is finding artwork that inspires me beyond my own expectations. to see something so epic, and surreal, that my mind is taken to new places. Today I found an artist, that actually made me have to stop and waste several hours of my day staring at image after image. Michael Cheval is a surrealist painter that paints beautiful realistic portraits, but also with surrealist qualities. He has several other paintings which are all arranged into different series that represent a specific theme; Nature of absurdity, illusion of absurdity, sense of absurdity, and several other themes. The themes are strange, to say the least, but still seem very appropriate and traditional. Almost as though they were taken from some fictional history book. there is no real way for me to identify or describe this artwork. You must see it for yourself. I am in awe of what some people can do with a paintbrush.